Our working hours are 8am – 10pm. You may contact us for any specific questions. JLT, Dubai Location: Yes our JLT location currently provides ample parking space on the ground and basement level. We are also conveniently located outside the DAMAC Properties Metro Station and which also connects you to the Marina area through an air-conditioned walkway across Sheikh Zayed Road. Call Us on 04 4487043, Three to Five Minutes Before You Arrive So Our Housekeeping can come down to G Floor and provide you free parking access in Basement 1 & 2 through our Access Card. Please mention your car number and model. NOTE: PLEASE PARK IN B3. PLEASE DO NOT PARK IN RESERVED PARKING AS FINE WILL BE IMPOSED. Who can attend these sessions and services ? Why is the holistic approach so powerful ? It is so vital to achieve balance of mind, and experiencing inner peace and harmony. The individual is not only made up of what he can experience in terms of the five senses in physical reality, but also of what he thinks and what he feels. Therefore the mental, emotional and physical aspects of the individual must be in synchronicity in order to experience harmony within himself, and the environment in which he exists. Holistic healing acknowledges the individual as a whole and therefore this integrated approach has the power to tackle any issue with life-transforming results. Is therapy only meant for people who have issues they cannot solve on their own ? Many have a misconception that holistic healing is for those who are labeled ‘weak’ and unable to handle their own issues. However, lets all agree that even if we don’t suffer from a life threatening issue, we all have areas in our lives that we would like to improve. Often, we have obstacles in these areas that we find difficult to overcome on our own. Holistic Healing, conducted by an external facilitator, allows one to observe them self in a more neutral manner to gain the self- awareness and guidance to positively approach and heal out of the same situation. Holistic Healing is for open-minded individuals, who understand that the first step towards transformation is through self-awareness, and then have the courage and wisdom to do something about it. You can visit our section in Services/Programs/Individual Clients for more information on the candidates likely to resort to holistic modalities. Does one always require a therapist to solve every issue in their life ? Any qualified therapist will never encourage dependency. The whole idea is to help the individual elevate his own consciousness (thoughts, words, actions, reactions and perceptions) to master his own life. After the healing process with the therapist is complete, it is natural to occasionally revert back to the therapist for guidance and clarity. However, the tools we recommend such as breathing, meditation, and other such programs will empower the client to master their state of being within their own space. Our aim is to encourage spirituality not just to tackle an issue, but as means of adopting as a way of life. How do I know if I should opt for a holistic approach to change my life ? It is very simple. If your existing belief system is causing you pain, then it is important to observe the belief system, understand how it has come about in the first place, and then change it through a holistic approach. For e.g. if you have a belief system which states that you hate dogs, and you marry a woman who loves dogs and has many at home. Being around her will now be a painful experience. So either change the belief system, or change the woman! Can I avail services even if I don’t have any issues ? We have a variety of different services such as free awareness talks, empowerment workshops and holistic training programs which allow you to gain the understanding and experience of the concepts involved. Illuminations’ exists as a movement, which brings awareness of the power of the self, mind and consciousness at all levels. We also have programs at the corporate and educational levels. We even offer certified training programs for you to become a qualified therapist! How do I become a qualified therapist ? Illuminations, offers a variety of different certified training programs to receive qualification in various holistic modalities. Each training has specific requirements in order to obtain certification once the course is complete. Is holistic healing recommended for children ? Yes, definitely so. Children develop their core beliefs between the ages of 2-8 and are operating out of the subconscious mind up until then. Since holistic modalities, be it rebirthing or hypnotherapy, involve healing at this level, children are extremely receptive to positive suggestions and holistic healing. This can help them take on a positive approach for the rest of their lives. Common issues we work with amongst kids are concentration, fears & phobias, bed-wetting, stammering and more. Please visit our Services/Programs/Educational Section for more information on programs for children. If I am undergoing medical treatment, will this interfere in the healing processes ? Not at all! In fact, holistic healing is called complementary healing simply because it complements, or rather enhances your allopathic healing process. Every modality has its place. For example, if an individual is diagnosed with cancer, it means that the imbalance has already reached the level of the physical body/reality. Therefore it is recommended resorting to medical solution because the issue has already reached the physical level. However, complementary therapy can do wonders in reducing the side effects of the strong medical treatments and can be a catalyst in the healing process. What is the scientific basis of holistic healing? How do I know for a fact it can work on me ? Holistic healing applies these very same laws to the body/mind/energy dynamics of the individual. The applied theory behind the approaches we use have evidence to prove tangible results for many. Increasing experiments in quantum physics of measuring thought waves and understanding how thoughts manifest into the physical reality of existence, are beginning to add value to the holistic science. Please refer to our recommended list of books in the News and Links section to gain more knowledge and understanding. Why is the holistic approach to life gaining so much merit, more so in recent times ? As many of us are now beginning to realize, our circumstances are merely a reflection of our inner selves; we constantly search for introspective means of understanding our existence in relation to life’s challenging issues. People want to manage stress, increase energy, live naturally, and be healthier. As a result, there is a paradigm shift from the external to the internal taking place. This process does not call for a complete redirection, but more of a sharing of our attention of the outer with the inner, to create a space of balance and harmony. Once we become aware that, perhaps at some level, we are fully responsible for creating the imbalance we experience, be it in health, career or relationships, we have the power to change it! What is the significance of 2012 for the wellness movement and how will this affect the individual ? The year 2012 is, by many separate sources of wisdom, seen as being a portal into the Golden Age – an age where spiritual enlightenment is the norm. The ancient Mayan civilization created a calendar that was very intricate and highly intelligent in nature; a calendar that ended on December 21st 2012. From an astrological point of view, December 21st 2012 marks the beginning of the Winter Solstice that year, and also the movement of the Earth in the centre of the galaxy in which it is located, the Milky Way. Additionally, the magnetic field of the Earth is expected to reverse by 180 degrees at that time, having huge effects on our minds and bodies. As we build up to this time, we have already begun to see dramatic changes in our environment. The disruption in the ozone layer, the melting of the ice caps, the increased amount of natural disasters, the global recession are all the signs of a rapidly changing reality. A reality in which the huge period of industry and consumerism that humanity has gone through is coming to an end. This is the reason why holistic healing has gained so much popularity recently, as a huge shift in consciousness occurs, to guide humankind through this tumultuous time towards the Golden Age or Ascension. What can we expect in the new age ? The children being born today, called Indigo children, are ripe with intellect and are already ‘plugged-in’ to the order of the new age. They have heightened intuitive senses and are teaching us the much needed spiritual lessons while the Earth’s transformation is taking place. What can we expect in the new age? Primarily, a complete transformation of humankind to an age of heightened sensitivity and full neutrality in response to our environment. We will understand the true meaning of one-ness as there will be complete transparency of thought between all the souls that exist on this physical plane. We will rediscover our connections with our Higher Selves and be the ultimate creators of our own lives. Will holistic healing interfere with my religious beliefs ? Can I meditate if I am a beginner ? Find it hard to remain still? Don’t worry, because anyone can learn to meditate! In fact, through some of your daily activities you have already been meditating without realizing. With practice, one can prepare for an amazing meditation experience. Which meditation is best for me ? Our group meditations are focused on different topics with the intention of leading you through a group healing with a specific focus, such as forgiveness, manifestation, healing a relationship etc. At Illuminations, we offer over 21 different types of group meditations as well as private meditation coaching. 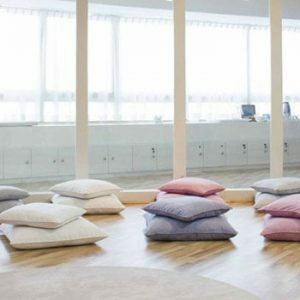 For beginners, private group meditation classes involving mindfulness is recommended. Similarly we offer these in a group session. You can choose any topic that either attracts you, or go in for a private meditation coaching to learn about basic practices such as posture, breathing, and basic tips! Why do I find it so difficult to meditate ? The nature of the mind has a tendency to focus on either on the past or the future. It rarely enjoys remaining in the present! Since meditation is all about being in presence, if you are stressed, or worried or constantly thinking too much, your mind will find one million excuses as to why you should not meditate! Initially, one might feel sitting in a corner trying to still their mind is a struggle or feels like a waste of time in a busy schedule. However, you would be amazed at the burst of inspiration and productivity you can accomplish by remaining in a state of being-ness rather than accomplishing goals feeling stressed. In order to master any activity, practice, discipline and perseverance is essential! What are the prices for group and private meditations ? 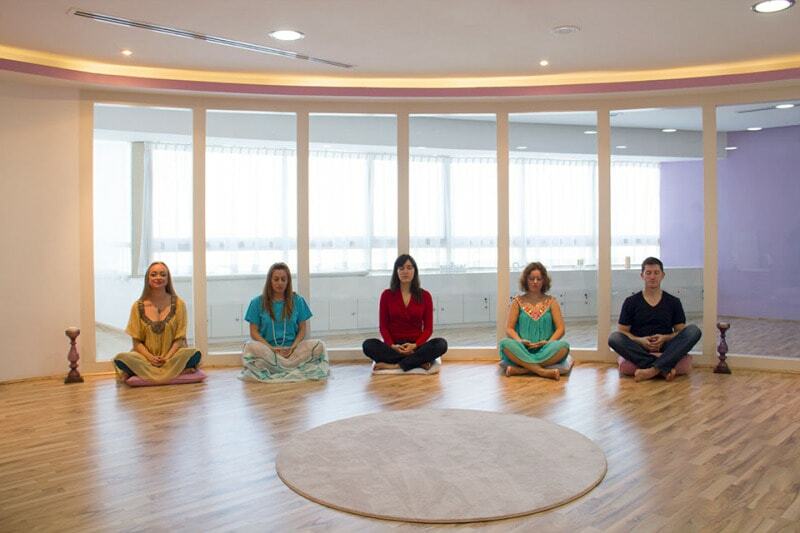 All in-house group meditations are charged between AED 30 – 50. Private Meditation sessions are priced at AED 150. What do I wear to a meditation ? Please wear loose comfortable clothing if possible. Please expect to be sitting on the floor on cushions. Chairs are provided upon request. Music is played in the background and incense and candles are lit to complete the experience. Please bring socks to cover your feet, as you will be asked to remove shoes/footwear at the reception. What can I expect from my first experience ? Participants will briefly introduce themselves individually. Understand what brought them here, how long they have been meditating and what they hope to expect from the session. Brief Introduction of the Meditation and then speak another 5 minutes about the theory of the topic. Complete short breath work techniques. Closing session Have clients share their experiences and mention next relevant upcoming events. How long is a meditation session ? As an age-old wisdom, it is said that the number of minutes of your meditation practice should ideally equal your age. The total experience of a meditation class at Illuminations normally lasts 60 minutes. However in your private practice it is recommended to start with just a couple of minutes per day, and slowly try to build it up from there. How should I be seated for a meditation ? Relax and to be comfortable. Allow you to remain alert and aware. What is the difference between a workshop and a training program at Illuminations ? A training program is designed to certify you for qualification in practicing holistic healing and self-development tools on yourself and with others. However our workshops are designed for individuals looking for tools applicable for personal growth and spiritual growth. What are Illuminations most popular training programs ? See below in order of popularity based on the number of students that have enrolled. Join a free foundation course on any of the above trainings or enter any beginners level training free of charge for the first two hours to see if it is right for you. How can self-empowerment workshops help me ? Every one of us is destined for greatness, despite the many challenges we may face. Our empowerment workshops and seminars equip individuals to overcome obstacles in order transform all areas of everyday life. Our goal is for you to function from your highest potential at every given moment. Which empowerment workshop is most suitable for me ? What are the timings, price and durations of these different workshops ? What can I expect in an Illuminations workshop experience ? The set up is in classroom or theatre style. Students are given handouts or notes to refer to. Tea/Coffee and refreshments are provided throughout out, however, depending on the duration of the workshop refreshments such as biscuits and sandwiches are also provided. The workshops are a combination of theory, practice and group sharing. Certificates of attendance are provided for workshops beyond four hours, or depending on the workshop type. Once I complete my education in any of the training programs, where can I practice ? We offer internship and support groups for students to practice through our alumni services. 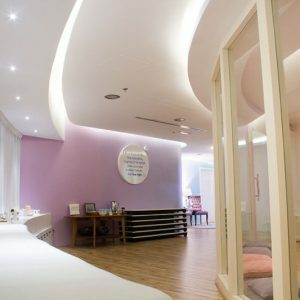 What is the booking and policies for therapy packages ? Our online payment facilities are coming soon! Watch this space. Kindly inform us 24 hours in advance for rescheduling or cancellations. Cancellations that occur after 24 hours from the start time of the appointment are subject to an amount equal to the full session chargeable upon next appointment. Appointments are non-transferable and non-refundable. Therapy packages are valid for a period of two (2) months from the original date of purchase. What is the general payment policy at Illuminations Well-Being Center ? A client is very unhappy with the service and does not complete the full session. 50% deposit amount is required to confirm a space for any course priced above AED 800/-. In the event of a no show, deposits and advance payments are non refundable & non transferable. However if within 24-hour notice before a workshop is given, credit notes are issued, and payments are transferable towards other services, with no cancellation fee applicable. Less than 24 hours notice will result in an AED 100/- cancellation fee. How do I know which therapeutic modality to opt for, E.g. Reiki, Yoga or Hypnotherapy ? How many holistic therapy sessions does one require ? It completely depends on the issue at hand. Some people find tangible results after a single session and others after a few. However on an average, clients usually opt for anywhere between 5 sessions for resolution with one issue. Many layers surface during this process. Your facilitator will advise you further once you have undergone the first or second session. What procedures do I need to follow during therapy treatments ? Please do not be under the influence of alcohol, 24 hours before and after therapy. It is best to consider your therapy sessions as a detox not just for the mind or emotions but also for your body, in your diet and your lifestyle. How do I know which therapy is right for me ? If you do not know and would like further guidance and information, we recommend that you give us a call and book in for a free consult or a 20-minute special offer that we regularly have available. This will give you all information about the services and also provide you with a quick short hand experience. View our special offers section, or call us at the center for more information. What is the objective of therapy at Illuminations ? At Illuminations we offer private consultations conducted by highly qualified therapists in various holistic approaches, which offer resolution for physical, mental, emotional and spiritual areas of our life. The process of healing then becomes very simple and can easily be achieved through a “holistic approach” involving treating a person as a whole—body, mind and spirit— which have life-transforming benefits that can be experienced first hand. The objective of therapy is to resolve limiting behavior patterns which block an individual from harnessing their true potential. Are the private consultations confidential ? We maintain and guarantee that our qualified practitioners maintain 100% confidentiality. We have the client sign a consent form prior to the session. Where can I find out about prices, durations and facilitators ? Please download our therapy menu in the private consultations section under services. This will have all information on price duration and facilitators. How do I know which practitioner is best for me ? We offer free thirty-minute healings and general wellness consults so that you can try out all the different types of approaches that are offered and find the one that’s most suitable for you. 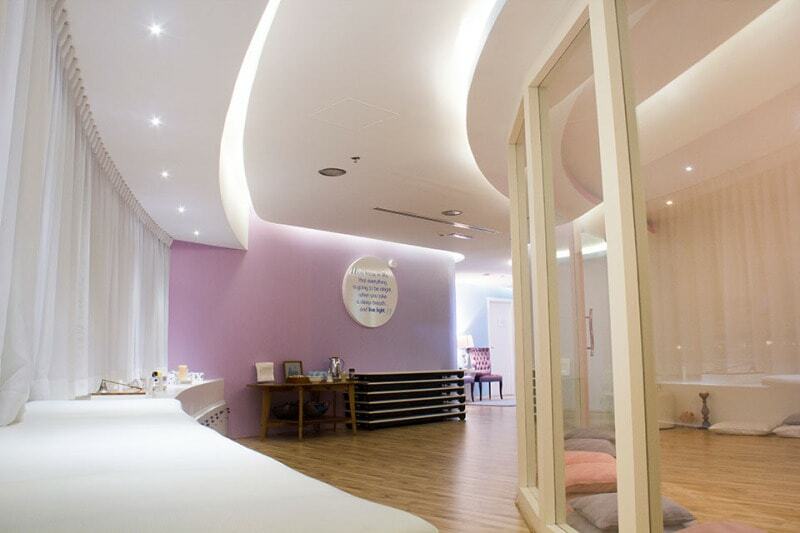 Highly qualified therapists conduct all of our private consultations. Depending on the service you choose, you might have one or two practitioners conducting the same service. For more information you can visit the about us section under our team to learn which practitioner may be the best for you! Do you offer package sessions if I need more than one or two therapy sessions ? Yes we do! If you purchase five sessions or more for most services, you will receive a 10% -15 discount (discounts may vary) on the total amount. Packages are valid for a period of three months. View our special offers and new features section to learn more! Where can I learn more about your deals and offers ? Please register and subscribe to our newsletter or visit the special offers section of our website. Look out for our special loyalty programs, which will be coming soon. I would like to gift an experience to my friends and family how can I do this ? Your can purchase our gift cards valued at AED 250, 350 or 50, which has a one year validity from the date of purchase. I have received a free healing offers card, where can I avail this ? Simply call up the center and book your appointment to confirm the validity of the offer.